Energy and Environment on the “Garden Island” | Climate Etc. · Countering the presumption that renewables are always the environmentally preferable alternative, this column suggests that serious consideration should be given to examining if for the short term, fossil fuel might be the “environmentally correct” near term alternative for Kauai. I recently spent two weeks on Kauai, the oldest and arguably the most beautiful of the major Hawaiian Islands. Despite the wonderful distractions of scenery, food, drink, hiking, snorkeling, kayaking, biking, bird watching and a wedding, I couldn’t help thinking about power supply. Kauai is notable for having electric rates that are among the highest in the United States. Considering supply issues, this should not be seen as necessarily problematic or become a source for criticism. Costs are higher for very good reasons. The population is under 70,000. The island is too distant to take advantage of grid interconnections and large economies of scale. The ratio of customers per mile of line is low. Fuel and resource options are limited. Clearly people tend to be better off with lower energy rates and are disadvantaged by higher rates, but in Kauai those effects are muted such that the high energy costs are not as challenging for Kauai as they might be in other areas. As most jobs are related to tourism, high energy costs do not depress the job market significantly. With moderate weather, consumers are not as adversely impacted by high rates as areas where cooling and/or heating needs can be severe. Looking at electric bills, versus electric rates – Kauai is not so much an outlier. Kauai is served by an electric cooperative, Kauai Island Electric Cooperative (KIUC). As a cooperative they are member owned and member driven. In considering energy, economics, politics and the desires of their electric consumers, KIUC is doing an excellent job. Based upon current inputs KIUC is appropriately planning for the future. However this essay will raise a controversial question for consideration: Based upon a full evaluation of energy, economics and environmental considerations (and ignoring politics) might Kauai be better served by more centralized power sources rather than the current plan to significantly increase renewable generation? Kauai was formed just over five million years ago by volcanic activity and emerged from the sea a barren, lifeless rocky expanse. Even without any specialized impacts from “climate change”, the natural erosion from the pounding of the ocean and heavy precipitation will submerge the island into the Pacific within the next 25 million years. From very slow beginnings, supported by erosion and bird guano, life began to take hold on the desolate island. Life has power and today the island has as incredibly diverse and amazing eco-system. Kauai is a special place with an incredible thriving mix of native and introduces species. Its population will continue to face many challenges in balancing human needs and limiting human impacts upon the natural environment. Determining an “acceptable” level of environmental impacts from human energy needs is highly subjective. Some may be argue that humans should have no conceivable “adverse” impacts on the environment and at the other extreme some may believe that the local environment does not matter at all. I find both these extremes untenable. A balance is needed. What is the “natural state” of Kauai and how “important” is it? Depending on the time frame for reference, the “importance” of Kauai’s “natural state” varies greatly. Left to nature Kauai will perish having been in existence only well under 1% of earth’s geologic time to that date. The existence of Kauai should be approximately 1/5 the time of the age of dinosaurs. In terms of mankind however, Kauai preceded us and may outlast us as well. In terms of mankind Kauai should take on a value of high “importance”. In terms of mankind and our timeframe, Kauai is a precious resource that should be preserved. Is it wrong to look at Kauai from our perspective? I struggle with arguments centered on nature but divorced from mankind. Nature is very powerful in the long run. Outside “our” time frame, nature is incredibly robust and resilient. Outside of our time frames our impacts are limited. The earth has seen five major mass extinction events, the most recent being the K-T extinction approximately 66 million years ago. How such “tragic” events should be viewed outside or our perspective from a “planetary” or “natural” perspective? Triggered by asteroids, comets, volcanic activity, sea level change, climate or some combination of those factors, the K-T event was a catastrophic disaster for all living things. Almost all large vertebrates suddenly became extinct. The earth also lost most plankton and many tropical invertebrates. Roughly three-fourths of the plant and animal species were lost. In terms of life and loss of diversity it’s beyond what most of us can imagine. In terms of the geological record this catastrophic event shows up only in a thin layer of sediment. While the entire discussion is subjective, on the grand scale of geological time it can be argued the K-T tragedy was a net positive. Sadly the long living ammonites became extinct as did the non-avian dinosaurs. But, the air and water cleared while other life forms flourished and the earth once again developed a diverse, balanced eco-system. Diversification from surviving species has and will continue to develop “endless forms most beautiful”. Mammals were able to eventually thrive due to the end of the age of dinosaurs. I know of no arguments that “nature” might have been grander without the precedents that lead to the K-T extinction. Similarly, long run, I expect that nature will continue to generally maintain Kauai as a natural paradise until its natural decline deposits it in the Pacific. Long term I am not that worried about Kauai. However, from our time perspective, the environment of Kauai is very important and our carelessness and disregard can lead to severe consequences from a human time perspective. For us, it would be a tragedy should Kauai’s environment be adversely impacted for just a generation let alone multiple generations. I would give the environment of Kauai a high priority. The state of Hawaii contributes less than 1 percent to the U.S. landmass, but the islands contain 44 percent of its endangered and threatened plant species. My subjective take is that we should make significant and perhaps near extreme efforts to protect that diversity for future generations. Electric energy goes hand in hand with human betterment and can work to better support the environment. Affordable, clean electric energy enables a society to have sufficient resources such that concern can be shown for the local environment. While it should be expected to cost more to power Kauai than many other areas, the value of that energy is significant and can be justified for full considerations balancing economics with environmental needs. Generation resources differ in their impacts on the local versus regional and global environment. The amount of land need for solar or wind generation tend to be more than an order of magnitude greater than what is needed for natural gas generation. Locally in terms or aesthetics and considering flora and fauna it may be better to locate a fossil fuel generator within a more confined area that to cover a broad expanse with solar panels. However at the regional and global level, the solar panels may be judged the “greener” alternative. Examining Kauai helps illustrate that currently no available technology is environmentally superior for all environments and highlights differences between local and global environmental goals. Power supply on the island has been supported primarily by imported fuel oil, as coal and natural gas have not been options. Traditionally KIUC served the island with 121 MW of fossil fuel generation and 1.3 MW of hydro capacity. The cost of fossil fuel resulted in the historically high volatile rates. KIUC is hopeful that moving away from fossil fuel towards renewables can help stabilize rates and reduce volatility. Except for global/generic concerns I cannot find any specific local environmental concerns associated with fossil fuel generation. In terms of the impact upon just the local environment – fossil fuel appears relatively benign compared to other available options. KIUC is perming a 6 MW hydroelectric plant which will be the first new hydroelectric plant to come online in 80 years. Five old hydroelectric plants were built to serve sugar plantations still provide a total of 8.8 MW to the island. KIUC is developing a 25 MW pumped storage facility as well. With abundant rain and high cliffs Kauai has a theoretical potential for much higher use of hydro. Further hydro development will be limited by environmental, cultural, agricultural, and recreational and tourism interests so it likely will remain a small component of the power supply. Fully exploiting potential hydro resources, particularly if storage capacity is maximized, would have severe consequences impacting archeological, agricultural, natural and developable land as well as fish migration and scenic impacts. Reportedly Kauai has superb wind conditions but no wind generation of significance. My understanding is that wind is not viable due to concerns for endangered species. I doubt that absent the concerns around killing birds, wind would be embraced anyway. The structures would greatly detect from the aesthetic beauty and if applied with any significant density would raise additional environmental concerns. I suspect the wind industry is wise not to push the issue of wind on Kauai because it would be a stage where its shortcomings became highly observable. The island has a 7 MW biomass plant that will burn invasive species, fuel from damaged woodlands and locally grown trees as well. Providing a continuing supply of fuel for biomass has and will continue to provide controversy and challenges. Solar (with storage) is seen as Kauai’s best hope for a high renewable future. While conditions are good for solar, the irradiance is not as high there as in the southwestern US. The intermittent nature of solar is complicated by the small size of the island and inability for energy exchanges to increase diversity. Furthermore the demand in Kauai peaks after sunset. Proven storage technologies will be required before solar can play a major role. Because of the shortcoming of other renewable technologies achieving high renewables in Kauai will be dependent on deploying considerable solar. The proliferation of solar panels on Kauai will bring problems and benefits. Some say they provide shelter for the endangered State bird of Hawaii the Nene geese. At the same as penetrations increase the panels will compete with local flora as well. As noted earlier Hawaii contains a disproportionate share of endangered species. The local environment is incredibly diverse and beautiful. From our human time scale, strong considerations should be given to protecting that area as much as possible and as long as possible. One potential approach to maximizing benefits for the island would be to employ imported high density fuel resources. They will have the minimal footprint and impact upon the island. At the present the most viable candidates are fossil fuel based, however small modular nuclear could become an attractive option in the future. An energy dense strategy would not be compatible with existing efforts to increase renewables. Biomass and solar both can take up significant space so as to limit natural flora and fauna. Wind as previously noted, appears incompatible with protection of local species. This suggestion is at odds with conventional thinking today. The suggestion may in fact prove to be wrongheaded, but such considerations should at least be on the table to counteract blind allegiance to renewables. Consider for example, that if modular nuclear is the energy source of the near term future, Kauai may fair far better by investing in fossil fuels for the short term. These plants take minimal resources and space and can be easily retired and removed. Considerable environmental benefits would accrue from avoiding the infrastructure needed to support extensive renewables in the meantime. 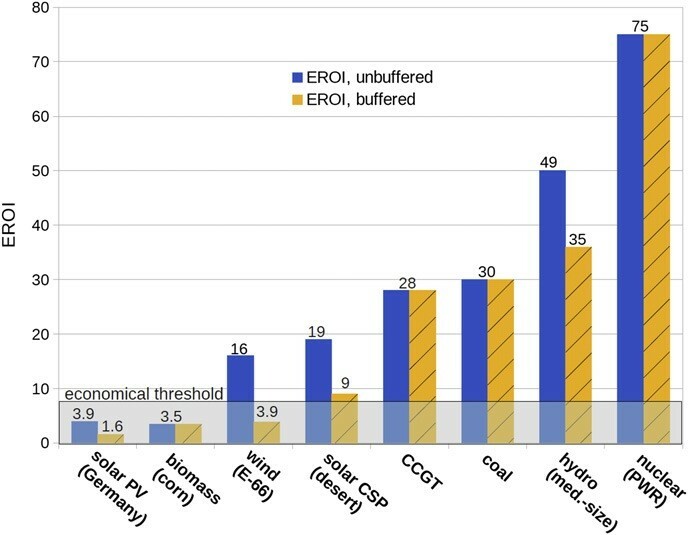 Generic calls to obtain 50% renewables by 2023 or 100% by 2045 are suspect because grouping wind, solar, biomass and hydro together ignores the individual capabilities and limitations of each of these resources versus other competing alternatives. In order to balance economics and environmental considerations each alternative must be compared against every other alternative not just among renewable options. Blanket targets might be good for general guidance and goal setting, but long term we need careful refined numbers relying on something beyond what sounds good. What about Kauai’s global responsibility? It can be argued that since Kauai might be more vulnerable to climate change, rising sea levels and the impacts of increased CO2 on coral reefs that Kauai has a special obligation to address CO2 emissions. A corollary of such an argument would be that an area insulated from (or benefiting from) the impacts of high CO2 emissions should have a lesser obligation. I don’t find either argument particularly persuasive. In a global economy markets should work to maximize local benefits and minimize local burdens whenever possible. To the extent that Kauai has limited land space and could more greatly benefit from dense energy resources and that another area has considerable land area and is better able to use less dense renewable approaches, those two areas should be involved in exchanges. Solar panels in the desert will have less of an impact than solar panels places in lush growing areas. Some areas have easier access to geothermal while other areas may need to be more dependent on dense imported fuels. Some areas will by the blessing of nature have more resources than needed in some instances perhaps should over-produce to support other less advantaged areas. For other resources that relationship may be reversed. If any area is to burn fossil fuels, perhaps it is Kauai? Because of the special local environmental considerations, perhaps Kauai should be at the tail of the renewable revolution instead of its head. I recognize this is a radical idea. But, in terms of wind, this decision may have already been made. The conflict between global and local environmental concerns may become more apparent as Kauai struggles to achieve higher solar penetration levels. Why no discussion of geothermal? It’s sitting on a freaking volcano. It might be dormant but I have to believe there is a huge thermal mass under the island. WUWT? As the oldest major Hawaiian island it has less geothermal than other Hawaiian islands. Areas of geothermal potential are limited. I would think that both geothermal and tidal power if/when they prove worthwhile would function as centralized generation (like fossil and nuclear power) as opposed to dispersed resources like wind and solar. If they are the eventual “winner” building out disbursed generation may not be the best strategy in the near to mid term. How much difference between high and low tide do you need for efficient generation? Since the Hawai’ian islands are out in the middle (more or less) of the Pacific, they have relatively small tides–a foot or two diff between high and low, usually. You’d need to cordon off a very large area of seawater, I’d think, to generate much electricity with such weak tides, and that might also be bad for the reefs. But I don’t have numbers. I think you’re right about the volcanoes, though; the hot spot moved east millions of years ago, under Oahu, and then Maui; it’s now under the Big Island (Hawai’i), which is where the only (afaik) geothermal plant in the Islands is. And that plant is controversial, see http://www.hawaiibusiness.com/geothermal-is-a-red-hot-topic/. Just because they are of volcanic origin doesn’t mean there is geothermal potential. Look at places like Indonesia, Philippines or New Zealand. Lots of active volcanoes there but the geothermal fields are only very small areas. Needs to have a cold water source that soaks through interconnected fractured hot rock and generally some form of cap rock on top. And Kauai isn’t dormant. It is extinct, the island has moved off the hot spot. For those unfamiliar with the island here is their website. It is spectacularly beautiful and wind farms associated pylons and solar farms could seriously damage the environment. Given APE’s estimate of current electrical demand I would be surprised if the islanders would be happy with the environmental impact of tidal and wave power if solar panels are off the menu. Any idea of how many sea worthy gen-sets would be needed to supply the island and what they might cost? I can see APEs point about solar right now but when storage drops to less than $100/KWh then RE will win hands down. *Related note, VW just announced they are going to introduce 30 new models of all electric cars with production ramping to 3 million a year. Something tells me the costs of batteries is going down. Cost of batteries going down? What usually happens when demand increases is that prices go up. What usually happens when demand increases is that manufacturing goes up too. Demand for oil keeps increasing and so has supply so that’s why oil isn’t $120/bbl. Batteries and Solar are really more like electronics if you look at their cost/power history. The solar panels I bought 5 years ago were 15% efficient and now the same size panels are now over 20% more efficient and yet cost 30% less and that’s despite a 35% import tariff. So yes the price per KWh will continue to come down. LiIon batteries are at scale thanks to portible electronics, Elon Musk to the contrary. They are coming down a roughly 20% learning curve. Meaning they are 20 percent cheaper when CUMULATIVE production doubles. See guest posts Grid Storage and Solar Grid Parity for details. Battery costs are going down slowly, and the anually rate of decline is slowing rapidly. Some facts are inescapable. But, IMO, pumped hydro storage with the lower reservoir under water would be a better option. It would be brand new technology, but the design for pressure exclusion under water would probably count as “state of the art”, and could be done with existing low-cost tensile fibers. If they don’t want to jump into new technology with both feet until it’s more mature, they might consider CCGT on barges. I don’t know what the additional capital cost would be from protecting the plant (especially the condensers AFAIK) from weather, but I’d guess it could be made up in flexibility: once they’re ready to move on, the barges can also. Some clever leasing options might also be feasible. Question to Rud. Why are Japan (and now German) long bonds paying a negative interest rate? I don’t understand capitalism anymore but you seem to have all the answers so what’s up with that? Interest rates are negative because of central bank policies (government monetary policy), which has nothing to do with capitalism. dougbadgero – 21st. century capitalism needs central banks like we need electricity. Theoretically we could live without it but in reality we’d all be dead in a couple of weeks without it. I’m not saying you are wrong but to hear the banks tell it they say it’s because our elected politician’s fiscal policy has failed and they are only doing what their charter mandates them to do – create full employment and financial stability. I always thought negative interests rates were like anti-matter to capitalism and they would explode when they came into contact. It’s never happened before, at least since Adam Smith wrote the “Wealth of Nations”. Personally I think hard currency would fix it but it would also crash the world economies – all of them. No disagreement. Japan real rates are higher than in the US (interest rates – inflation), Japan economy is deflating. Germany is related to common currency in Euro-zone, German economy is the safest/lowest credit risk…at least that is my opinion. My belief is that eventually there will be a flight to the last hard “currency” …gold and silver. I wanted to pass along this little tidbit on the claim that battery development is on a downward trajectory. Just over 3 years ago Tesla began delivery of it’s Model S sedan. Now Tesla has improved it’s battery chemistry with an improved, higher voltage tolerant electrolyte formulation. An increase from 60kWh to 75kWh with the same pack size is a 25% improvement in battery performance over the original battery chemistry. Industry watchers are expecting an additional 15% increase before the Model 3 reaches the market in late 2017. The new chemistry is expected to reduce the costs of Tesla’s commercial and residential batteries going forward. Technology is an exponential phenomenon like compound interest. AK, thanks for the reference to Wright’s “law”. Not to mention a host of other technology. “Interesting times” indeed. Industry watchers are expecting an additional 15% increase before the Model 3 reaches the market in late 2017. But when you come to specific technologies, it’s much more like yeast growth. Consider the difference between rabbit population growth in Australia right after their introduction, and rabbit populations in the wild in Europe. Much more competition, and other interaction, in the latter. Occasionally, (e.g. “Moore’s Law” with IT,) a particular technology will grow like rabbits in Australia. But much more often, growth will be limited by competition with other technologies. Remember that Wright’s “Law” doesn’t have a time factor. It depends only on cumulative producion (as Rud pointed out above). Production depends on many types of investment, some of which are influenced by expectation of exponential growth. When it comes to batteries (perhaps excepting flow batteries), most wise investors are leery of competition in any but the vehicle market. Pumped hydro is essentially mature technology, except for such innovations as undersea lower reservoirs (actually both, since the upper reservoir depends on the height of the surface, not the intake). While I doubt any real investors have ever seen my screeds here about the ease of developing such undersea reservoirs, I expect many of them have their own technical experts who can make the same point. And power→gas/liquid hydrocarbons is far more likely, once PV costs come down far enough to overcome the (estimated) 30% energy efficiency on round trip (bus to bus). Again, while my primary motivation is to get people with influence to think about these things, I strongly suspect that most wise investors already have tech advisors perfectly qualified to see the same things. I would build two 80 MW nuclear reactors in a factory, put them on barges and ship them already built to the island, where they can be slotted into pre built bunkers (sort of like the submarine pens).. This gives them a bit of growing room and a much smaller footprint. FL, You only need one. The Westinghouse PWR A4W ( aircraft carrier fourth generation Westinghouse) the Navy currently buys for $340 million each for its aircraft carriers, installed. See EnergyMatters blog, my very recent comments on SMR, for details concerning the Nimitz class USS George Washington refueling budget appropriation. A4W Is 550MWt, at PWR efficiency ~33% is ~ 180MWe. Uses highly enriched fuel (70%) but is never refueled and lasts 20-25 years depending on load. When done, simply ship it intact to burial site 60 at Hanford, which already houses many other spent Navy reactors since Adm. Rickover developed them in the 1950s. No proliferation risk, no spent fuel risk. Done. Verifiable facts. Oh. And just hire some Ex Navy nuclear jocks to run the thing. They seem to know what they are doing. TY, Peter Lang. The U235 enrichment on a Navy reactor is really, really high so as to achieve long core lives. The efficiency is also really low because the fuel temperatures are not that high to also help achieve very long reactor lives. Your economics are grossly off as well. The fuel is not proliferation proof – actually quite the opposite. Navy reactors are not meant to be competitive power plants, rather they are used so the ships do not have to constantly carry massive amounts of fuel. This is a completely objective than a power plant which has ready access to fuel. Ristvan, I’m used to sketching remote self contained facilities and camps, we usually consider the downtime issue, and this leads to say two 75 % units. I think the size can be managed in a large barge using something milder than weapons grade. The cost comes down when construction is done in a shipyard, the other costs come down if many units are built. If the USA and EU had leaders with brains they would set up a finance facility for modular plants, say 80, 120, and 200 MW barge mounted units, to be built in shipyards and installed in safe locations. By safe I mean where the fuel can’t be stolen or controlled by a nutty actor. Such could range from Hawaiian islands to Tahiti, American Samoa, the Shetlands, Mayorca, US Virgin Islands, etc. Starcore Nuclear is also taking best of breed technologies to make cost-effective smaller scale nuclear – with special plans just for island nations/economies. Are you familiar with them Rud? I had an extensive conversation with a member of their core team and am extremely impressed with their model. Hopefully, Canada will break the ice with this model so that the less developed economies can take advantage of small scale nuclear. WE are not jocks, we are bubbleheads, and don’t you forget it. The efficiency of a Navy nuclear plant could be greatly increased by simple feedwater heating combined with low pressure turbines in addition to the normal high pressure turbine. The thing that limits a Navy plants efficiency is space, which would not be a problem on land. But it would have to be a whole new design. I spent 23 years poking a hole in the ocean. Reactors were never a problem. Navy nuclear training is the best in the world, at least it was. One big red flag for Starcore – it’s connected to the internet. Stupid idea. Curious that they never made the switch from oil to coal. Too late now. We were using fuel oil here in south Florida (Palm Beach and Fort Lauderdale FPL stations, both built in the 1960’s), until scrapped in favor of new CCGT fed from a new Florida feeder pipeline. Startups are this year. Resid is easy to transport and store. Hence its use in Hawaii. My mom lived in Ft Lauderdale close to the 17th street causeway, the power plant used to burn really sooty Venezuelan junk at night, if the wind was blowing from the South we got covered with soot and had to clean everything. It was a huge hassle. Nowadays it’s clean. 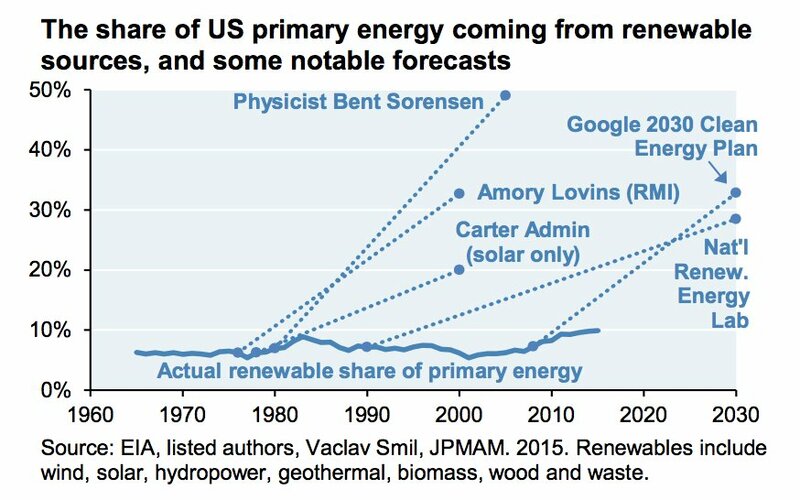 Renewables are going nowhere. The predictio9ns of how much of the world’s energy they will supply are as fanciful as the CAGW alarmists’ predictions of catastrophe from our GHG emissions. Why not just put in a smallish combined-cycle plant using LNG stored offshore (leaward side) on moored tankers? Large LNG tankers would periodically refill the smaller moored tankers. Presumably the liquefied natural gas would come from the US – I believe there is a SEMPRA facility down in Baja Calif. being converted for export. Hell of a lot cleaner than using oil, although you could use jet fuel stored off-shore on tanker and achieve similar results as using LNG. The advantage of the combined-cycle gas turbine is it’s early twice as efficient as a steam plant – significantly cleaner as well. I am sure this has been proposed, but have not heard much of a response from the local utility. LNG has a nasty habit of warming up despite insulation, and then boiling off. Not a big problem on a maybe three week tanker transit. A BIG problem for a moored LNG tanker supplying methane for many months in the tropics. Actually, there is a LNG combined-cycle plant in Puerto Rico. The LNG is boiled-off anyway to obtain methane gas to run the gas turbines. Your concerns are misplaced, as in not technically valid. PE, it seems logical that wherever nature is important, the highest energy density smallest energy facility footprint is always best. Pity that UK and Germany did not value their beautiful semi-natural countrysides more highly. Watermelons who seldom leave cities have little concept of this. Greenpeace desecrating Nasca Lines is an example. I think I may have been slower than many denizens to realize that. I was thinking because of the high cost associated with conventional generation that Kauai should be one of the best places for renewable development. But as I saw more and thought about it, I slowly realized the environmental impacts should trump economics. I slowly realized the environmental impacts should trump economics. Roger Fujii – there are always tradeoffs and you have to weigh things. Environmental to Economics may be tougher than apples to oranges. I don’t plan for Hawaii and in my head I had not weighted t the environmental costs of distributed gen enough. With even the best “potential” economic benefits in this case I now think the environment outweighs them. I slowly realized the environmental impacts outweighed the economics in this case. Hmm. I’m not sure how your reconcile “you have to weigh things” with ” environmental impacts outweighed the economics”. As I understand the usual meaning of the word “trump”, the latter phrase is consistent with that usage of that word. As such, I can rephrase that to “money is no object when it comes to environmental impacts”. While I won’t say this never happens, I’m pretty sure it doesn’t in this/most cases, so hence my confusion. Putting that aside, a good engineer should be able to answer the question “what problem are we trying to solve here?” If you don’t do that, it’s almost certain your solution will be the wrong solution. Knowing Kauai a little, I can say that most alternative energy sources (“renewable” is such a misleading term) has a vulnerability that you hadn’t mentioned – Hurricanes. Hardening solar panels/windmills to survive a hurricane strike (which happens about once every 20 years or so) is not cheap. And when you figure in that there’s < 70K people on the entire island, it caps the amount the solution can cost…. Good point on hurricanes. The dreamed of microgrids based on wind and solar would be a challenge for such disasters. Problems in this area are always multifaceted (We could talk interactions from EMP,GMD, terrorism, cyber… as well). Money is an object here. I like weigh more than my first use of trump. You are on your own wiith any further pedantry on trump versus weigh. Low power density is simply inherent for renewable energy. The consequence is that unless you have a sufficiently large, cheap, expendable piece of real estate, renewables are not going to satisfy your energy needs. Not now, not ever. The only arguments revolve around our definition of “sufficiently cheap and expendable” as this is a value judgment and depends also on one’s level of fear that burning fossils is ruining the planet. I think that we all agree that the land on Kauai is particulary valuable – even if we never get to see it. PE, in the case of Kauai, might it make more sense to look at the other end of the equation? Without big industry, much of the demand is low density domestic (lighting, cooking, washing, refrigeration, consumer electronics). How much could be achieved with an investment in efficient household appliances and maybe some rooftop solar? Considering the high value of the local environment, could financial incentives (or subsidies) for reducing demand be a better bargain than investing in more generating capacity? Hawaii a while back eliminated net metering because as penetration levels increase you can’t afford to subsidize rooftop solar. Energy costs over 30 cents/kwh on Kauai – if rooftop solar is not competitive without subsidies – think how big the gap is and how big a subsidy is needed where power costs are 10 cents/kwh. Regardless – I would say if solar drops and becomes as economic as some think, individuals will put up panels without incentives. I am seeing “community” solar as a much better option than rooftop for a number of reasons. Here are some: http://solomonenergy.com/blog/community-solar-vs-rooftop-solar-choosing-the-best-solution/ In Kauai’s cas I think coummunity solar would look a lot like utility solar. It’s hard to pay for efficiency and not raise your costs for other members. Again if the costs are high enough (30 cents/kwh) that in itself should encourage efficiency. Hmmm, but if we increase capacity and provide cheap power with fossil fuels, then there is an incentive for more development, not better efficiency. Let me ask the question another way. Might there be enough potential reduction of power consumption through increased efficiency that it would be a better investment than building a coal or oil burning plant? This of course depends on the current situation on the island and would require a lot of research to answer with a hard number. I’m just wondering if you’ve considered the problem from this direction. Ken W. I’d have to agree that potentially there might be enough savings from efficiency for it to be a better investment. From what I’ve seen those things work better in theory than practice. But the cost of power in Kauai is high relative to my experience, so I’d have to say definitely maybe it could. Work from that direction might be valuable, but I have not looked at it that way. Paul Joskow at MIT wrote a lot about the problems of having third parties pay efficiency costs and that has stuck with me since the late 90’s. Solar power in 2015 accounted for less than 5% of Chile’s total electricity generation, but because of decreased demand and inadequate grid connections it’s already generating surpluses that have to be curtailed or which result in the power being sold at zero cost . Yet to meet its target of 20% renewable energy from non-hydro sources by 2025 Chile plans to install yet more intermittent solar and wind energy by 2020/21. Need say 5 times peak capacity over build of PV to achieve say 40% capacity factor from the system (PV + pumped hydro). [Note: must be capable of supplying reliable 40% capacity factor through worst periods of winter]. We have just completed a two week circumnavigation of the Big Island Hawai’i. I too admired the island’s natural beauty and was mindful of the availability of renewable electricity, particularly wind turbines and solar power. Wind from the Trade Winds circulates around the North & South regions, impacted by the tall “shield” volcanos including Manau Kea, Manau Loa & Kiluana. 14 wind turbines in the South and 5 in the North. Not all are spinning at any given time. There are older turbines still standing in various states of disrepair. As for solar, it rains every day as it is now. There was a drought in Kona on the Lee side of the island from August 2015 to April 2016 yet the clouds came with no rain. As generating electricity consumes abundant water, what makes sense to me is to build a fossil fuel plant on the windward side (Hilo) where it rains every day and transfer electricity across the island. I guess the priority is to oppose/destroy any wind initiatives. Activists tend to be bores, but an activist against those dark satanic windmills gets my whole-hearted support. Antique technology to indulge neurotic fetishism while wasting money, land, resources, (including fossil fuels for manufacture, installation, supplementation, dismantling etc), land, natural beauty and wildlife…what’s not to hate? Sounds like a small modular nuclear reactor fits the bill here. Actually, there already are a number of small reactors in Hawaii – US navy submarine base. However, I strongly suspect the lowest cost option is a combined-cycle gas turbine using LNG. Assuming unit was load following, power price likely around $125/MWh, with small nuclear, solar & wind probably closer to $200/MWh. May 23 — The annual fee structure for small, modular nuclear reactors will vary depending on how much heat a reactor generates, the Nuclear Regulatory Commission said in a final rule. Light-water small modular reactors will differ from the existing light-water reactor fleet due to their smaller design—typically generating 300 megawatts or less per module—which will make them safer and more secure than traditional nuclear reactors, the NRC said in the May 23 final rule (RIN:3150-AI54). NuScale Power LLC is expected to be the first company in the U.S. to submit a small modular reactor design application to the NRC by the end of the year, with project commercialization by 2024. NuScale’s reactor modules would each generate 50 megawatts (95 ECR, 5/17/16). KNOXVILLE, Tenn. ― The Tennessee Valley Authority has submitted its Early Site Permit Application to the Nuclear Regulatory Commission to assess the potential for construction and operation of small modular reactor units at its Clinch River site near Oak Ridge, Tennessee. SMRs offer clean energy technology that, if deployed, would play a key role in TVA’s continued mission of energy, environment and economic development for the nine million people of the Tennessee Valley. The application positions TVA as an industry leader for potential development of the technology. In addition to housing one of the nation’s only nuclear waste repositories, New Mexico may eventually be on the cutting edge of nuclear energy technology. State Rep. Cathrynn Brown spoke at the International Small Modular Reactor and Advanced Reactor Summit in Atlanta in April, promoting the idea of making New Mexico one of the first homes of small modular reactors. Small modular reactors, essentially miniature nuclear power plants, are a technology currently being tested by NuScale Power in Oregon and other areas around the country and globe. Idaho will be the first state to receive one, but Brown hopes New Mexico won’t be far behind. “My thought is that maybe the first ones in the country will serve military installations,” Brown said. According to a May 31 article in “Power” magazine the Utah Associated Municipal Power and the Department of Energy entered into a use agreement that allows UAMPS to explore potential locations for plant development at the Idaho National Laboratory site. Moniz said Tuesday that the 93 research projects will help scientists innovate with nuclear technologies that can eventually enter the commercial market. He made the announcement while visiting the Department of Energy’s Idaho National Laboratory in eastern Idaho. Thanks for these excerpts and links. UK is also considering SMRs. PV – not dispatchable, 0%-20% CF, very high grid costs. Of Floating Power Barges and Ships (2010). With this [Fukushima] in mind, in the fall of 2014, an unusual suggestion was made by Sevan Marine, a Norwegian company that develops offshore platforms for the oil and gas industry. Together with Siemens, Sevan Marine presented a concept for creating floating power plants that could be anchored off the coast. For example, such a power plant would use liquefied natural gas (LNG) to produce 700 megawatts (MW) of electricity for the mainland. The suggestion was well received by the Japanese Ministry of Land, Infrastructure, Transport and Tourism, because the mountainous island nation has few locations for fossil-fuel power plants that are safe against earthquakes and tsunamis. Moreover, many people don’t want to have a power station in their backyards. You are on the right track. The only real issue is transporting enough fuel to keep the plants running. I guess many people living in paradise does have a few drawbacks if you need electrical power. It is interesting that Hawaii is exempt from the Clean Power Plan, but that doesn’t mean it doesn’t have a plan. It is 40% clean energy by 2030, 100% by 2045. He certainly isn’t “blindly bought in” to 100% Renewables. He talks a lot about new LNG and evaluating Renewables per engineering economics. What has piqued my interest is land use estimates — and how Jacobson’s estimates (world wide including Hawaii) are dramatically less than the opinions of the anti-renewable crowd here at CE. Would be nice if an independent, unbiased 3rd Party would have estimates. Thanks for the link Stephen. I had not seen it and it is a good interview. I hope that others did not take my reference of the need to “counteract blind allegiance to renewables” as referring to KIUC or any of their associates. While working to shorten the essay, I did make sure to devote space in an attempt to show my respect for them and their approach in light of the large challenges they face. Reading your link it’s interesting to contrast the Governor and David Bissel. We need to listen to people like David Bissel, KIUC is challenged by a subset of customer/owners, politicians and others who have “blind allegiance” to renewables. I don’t think they are are source of it in any way. I am pleased to see a public reference to their board deliberations around LNG and other issues around cost, economics and reliability. That can get censored for what “plays” in the press. Kauai already imports propane. I wonder why they don’t expand that program. It’s easy to keep liquid. Hawaii imports and refines crude oil also. But it would probably require a long pipeline to supply Kauai. There is a page here for Kauai. Propane is also an excellent transport fuel – you can even use a 70/30 mix with butane for transport fuel (butane is otherwise more a suffered by-product than a profit centre for oil companies). It is a considerably higher energy density than methane, is liquid at easily manageable temperatures and pressures, and requires negligible, simple, and proven changes to use it on existing engines with negligible loss of performance and significant reduction in fuel costs. It not only produces less harmful emissions than gasoline, it also leaves less harmful residues in the engine, extending service intervals and engine life. It is non-toxic, including combustion by-products, as any gas BBQer can attest. There is already extensive infrastructure in place in many areas, and it has a better safety record than gasoline. There is also an existing, proven system to modify stationary diesel engine M-G sets to this fuel, known to save considerable money (payback well under 1 year for a 100kW containerized genset in a remote, off-grid location). On the major islands – Oahu, Hawaii and Maui County (Maui, Molokai, Lanai) the electric power industry developed around the islands’ electric power authorities, contracted independent power producers and various small feed-in tariff producers fueled by renewables, including solid waste, wind, biofuel, and solar (including include power generated by customer-sited, grid-connected technologies, such as photovoltaic systems). These islands are left with a legacy of heavy dependence on fuel oil and in Oahu and Maui Counties (but not Hawaii) coal based. Hawaii could have laid pipe to Kauai for the cost of this bogus plant. How much did Makai’s OTEC power plant cost to construct? Several million dollars. Makai prefers not to disclose the exact cost. Forty years ago in high school I wrote a research paper about OTEC. I think I may have discussed Makai’s work back then. It doesn’t seem as if they’ve achieved much in the interim. As an aside, do high school students even write science research paper anymore? Makai Ocean Engineering celebrates the completion of the world’s largest operational Ocean Thermal Energy Conversion (OTEC) power plant with a dedication ceremony held on Friday, August 21, at 11:00 a.m. at the Natural Energy Laboratory of Hawaii Authority (NELHA). Makai’s OTEC power plant uses the temperature difference between the ocean’s cold deep water and warm surface water to generate clean, renewable electricity that is available 24 hours a day, 365 days a year. The NELHA-sited plant will generate 100 kilowatts of sustainable, continuous electricity – enough to power 120 Hawaii homes annually. I don’t think we have numbers that large. “Several million dollars” for a 100,000 watt plant is “several” tens of dollars/watt. CCGT currently capitalizes for ~60¢/watt (IIRC). But fuel is expensive. But that doesn’t really matter, because this whole thing is still at the pilot stage. Comparing with solar. “The average cost of solar panels has gone from $76.67/watt in 1977 to just $0.613/watt today […]” (2014). It’s plausible that 37 years from now, this technology will be similarly cheap, as well as fully dispatchable. • To scale it to a point it can meaningfully contribute to the ~100 TeraWatts (average) the world will need by late this century, will the amount of water, and heat, it will have to move around be enough to put the ocean cycles at risk? Pending more careful studies, my intuitive response is yes: like wind, this is a technology that when scaled could directly impact the climate. Potentially worse than the proposed “damage” from CO2. Looking down from Google Earth view I can see a huge empty caldera on the western highlands. Its rim rises to 2600 ft and the basin to 1500 ft. Wouldn’t this make a great reservoir for wave pumped storage? Of course there are a hundred endangered species that would be wiped out with the poisonous salt water…hmmm. So, they go extinct 20 million years before the Island is under the waves anyway. We can bank their DNA. How many wells would start delivering salt water? True – pumping salt water has a lot of problems. Much better to pump air to pneumatically raise a columns of fresh water. Hawaii’s energy legacy is the result of its economic structure. About 90% of Hawaii’s gross product is produced in service industries. When the U.S. government made Hawaii a state there was no consideration given to planning related to economic development or efficiency. Spending by tourists contributes significantly. Food processing (refined sugar, canned pineapple) is Hawaii’s leading manufacturing activity. 1. Focusing on energy needs of one place, any one place but in this case Kauai, is a good way to bring a sense of reality to the global climate discussion. 3. A third way is to consider the source of energy that powers the whole cosmos as it expands, entropy increases and rest mass is converted into kinetic energy. Solar energy is stored in plants and in the soil. Most every thing alive depends on stored solar energy, much is newer than coal, oil and natural gas. A bale of hay is stored solar energy. These trade winds that come from north to south are not only strong, but are also fairly consistent. They blow 50% of the time during the winter and 90% of the time during the summer. Fig. 2 shows that there are also “superb” wind power directly off of the coast of Kauai. You do realize wind turbines are a major-league eyesore? Kind of like building a skyscraper in a pristine forest. Also does a pretty good job of killing off bird populations. No worries however, the Obama administration would exempt the turbine owners from environmental laws. Roast Hawaiian goose anyone? Kauai is home to around 17,000 feral cats, so the birds are already targets. One person’s eyesore is another’s beauty. What all these “predictions” fail to consider is that renewables like wind and solar are not possible without fossil fuels – from cradle to grave. What energy source is used to power the mining machinery, then transport the materials to the manufacturing facility, power the manufacturing facility, transport to the ultimate destination, prepare the site, maintain the facility, provide backup power for when the wind does not blow and the sun does not shine, and ultimately in the decommissioning of the sites. How many billions (likely exceeding a trillion or two) have been invested in green energy solutions to date and how much energy are renewables producing. These predictions are about as useful as the failed warmunista predictions made over the last 30 years or so, and about as useful as the predictions for what our climate will be like in 2100. Maybe it’s time to look at actual data to get an idea of what lies ahead. Interesting links. Severe challenges ith sustaining energy intensive production for resources that provide a low ratio of return. The cost/energy feedback of this approach should not be ignored, but I’m afraid many projections do. the last charge of the Lite Brigade? The idea that energy usage should be centrally planned by a governmental agency, or that climate change, or economic activity, should or could be directed or controlled by governments, ignores the importance of individual liberty. This assumption of political power over human life has not, and cannot, be justified. Looks like we will get one more shot at it anyway. So every blog scientist who has publicly claimed there has been no acceleration in SLR can go to jail, and every jailed scientist who has publicly said there was an acceleration gets out plus compensation. Good deal, cause… there is now more robust, convincing evidence of recent acceleration in the trend of GMSL. A lot of good points discussed and probably all of them would be applicable as well to every California coastal city from Coronado to the beaches of Crescent City. I’m sure it would be bad if those populations were declining. Do you like the way they taste? I’m guessing fried squid is an acquired taste. Squid is pretty good raw. Or try a bowl of Korean jjamppong.soup Yum. You have to love the Cargo Cult Science aspects of measuring real time velocity based on five – count them! – reconstructions, even using improved techniques with substantially improved temporal resolution. Count the sciency words! Then you realise somebody’s trying to support a bad attack of wishful thinking with some self serving fabricated figures. I suppose the authors could try the incompetence defence, or even the ignorance defence. Maybe they weren’t taught real science at school. There you go – avoid jail, and sue the Universities for millions! Not my fault at all! There’s no shortage of gullible fools to provide money for this type of alleged science, and even more gullible fools who believe this sort of thing to be science, rather than Warmist scientism. Maybe the sick, the homeless, the starving, the needy and disadvantaged should serve on the jury determining whether Warmists should be held accountable for the billions wasted in the pursuit of a chimera. Unlikely, I know. Wishful thinking. The Tennessee Valley Authority’s (TVA) Watts Bar Unit 2 is the first nuclear reactor to come online since 1996, when the Watts Bar Unit 1 started operations. The new reactor is designed to add 1,150 megawatts of electricity generating capacity to southeastern Tennessee, according to the EIA. Construction on Watts Bar Unit 2 originally began in 1973, but construction halted in 1985 after the NRC identified weaknesses in TVA’s nuclear program. In August 2007, the TVA board of directors authorized the completion of Watts Bar Unit 2, and construction started in October 2007. At the time, a study found Unit 2 to be effectively 60% complete with $1.7 billion invested. The study said the plant could be finished in five years at an additional cost of $2.5 billion. The study proved to be overly optimistic, however, as construction was not finished until 2015, and cost ultimately totaled $4.7 billion. Ultimately, 23 other nuclear reactors began construction and operations in the 43 years required to finish Watts Bar 2. Four other reactors are currently under construction and are expected to join the nuclear fleet within the next four years. Vogtle Electric Generating Plant Units 3 and 4 in Georgia and Virgil C. Summer Nuclear Generating Station Units 2 and 3 in South Carolina are scheduled to become operational in 2019-2020, adding 4,540 MW of generation capacity. According to the EIA, as of December 1, 2015, there were 99 operating nuclear reactors at 61 nuclear power plants in the United States. The largest of these is the Palo Verde plant in Arizona, which has three reactors and a combined generating capacity of about 3,937 MW. Nuclear power plants are considered to deliver carbon-free electricity since they do not emit carbon dioxide. In 2015, the United States generated about 4 trillion kilowatthours of electricity, according to the EIA. About 20% of the electricity generated was from nuclear power plants. Kauai’s electricity from fossil fuels is more costly than in all but a few places in the US & the world. Yet with the best of today’s technologies in the areas of Wind, Photovoltaics, OTEC, Wave, & Tidal systems (and combined with the best energy storage technologies) widespread reliable electricity would come at unacceptably high costs relative to fossil fuels. Reliable alternatives to fossil fuels will be found with additional research, development and time. Meanwhile the people in Kauai can continue to make marginal improvements. At one point I was going to do a two parter in Kauai. The first part was going to say what you said so succinctly. This part was to follow with the disclaimer, that even if such technologies were less costly,, for local environmental reasons – Kauai may want to spend more on conventional technology. I decided against because I thought the two issues would get blurred. Well said John. Thanks for the article. I have a friend who goes to Kauai every year, to take pictures. I am sympathetic to the thought shock you went through when realizing that Kauai’s beauty, animal life, and plant life has an importance perhaps not seen by you in any previous power analysis you had done. It is a shock that I also might have encountered. Looks like your brain is very active, even on vacation. planning engineer, do you think that the apparent relationship between temperature and the rate of atmospheric carbon growth should be falsified first before a state like hawaii dives headlong into green energy? Afonzarelli – there are a lot of factors in such a decision. I don’t know that the exact nature of the temp carbon growth relationship should take prominence as a trigger or stop for Hawaii. Past experience does not completely eliminate the possibility your email from a Nigerian Prince could make you rich. The practical significance of that is?